This project comes to us from ND Interiors, a full-service design studio based in Westchester County, New York, not far from Niche HQ. 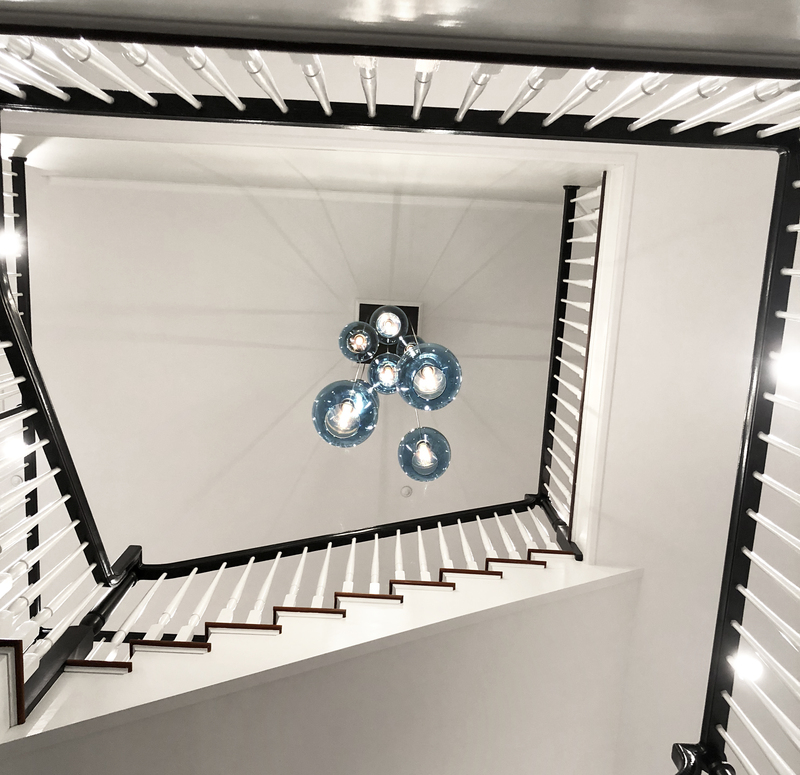 This stunning home in Larchmont features a creative arrangement of stairway lighting. 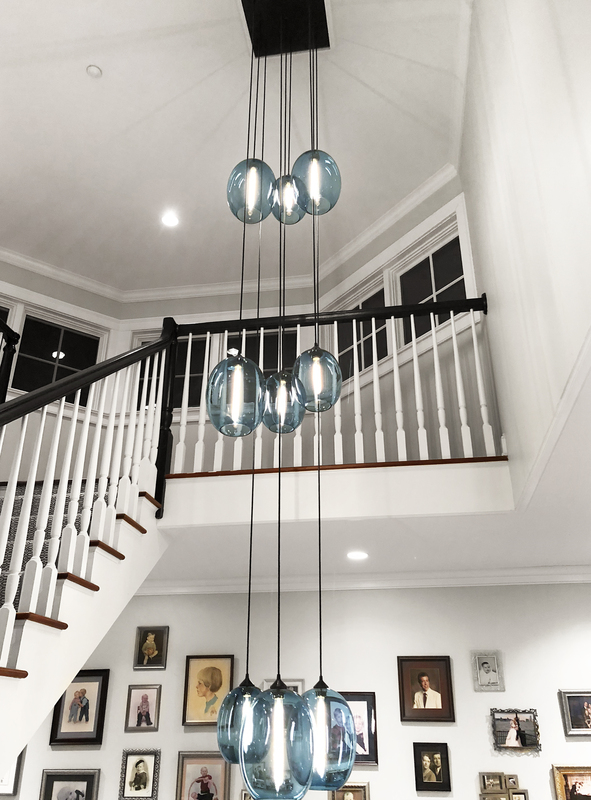 Nancy Davilman, the lead designer, shared these photos and a note with her followers: "I LOVE these hand-blown glass pendants by Niche, and I love clients who are willing to go for it!" We couldn't be happier with the result! From a canopy hangs a cluster of Ellipse Grand and Ellipse Petite pendants in Sapphire glass. When paired together, the brilliant proportions of the Grand and Petite Ellipse pendants complement one another to create an elegant and distinctive design. This cluster enhances the stairway and adds a dramatic, cascading effect that seamlessly guides the homeowners to their destination. Our bold blue glass draws the eye's attention against a palette of otherwise neutral white and gray tones. Whether you're a designer, architect, homeowner, or business owner, we would love to see how you incorporate Niche lighting in your projects! Send us your project information and awe-inspiring images for a chance to be featured on our blog and social media pages.